The inside of the Abbots Harbour Restaurant. When the monks were here in the middle ages this would have been where the livestock lived and the monks would have lived above to take advantage of the warmth generated by the animals below. The proportions of the building are shorter than modern buildings so some must duck to come inside and be careful not to knock their heads on the beams. The ceilings are low and the walls are THICK: about 3 feet thick. Very cozy and a wonderful place for lunch. We had the traditional Ploughman's Lunch with a side of homemade chips served wrapped in newspaper (and greaseproof on the inside for modern health regs probably). If you get the chance, go and experience the atmosphere and the good ales. This double arched bridge is on the path to the restaurant. 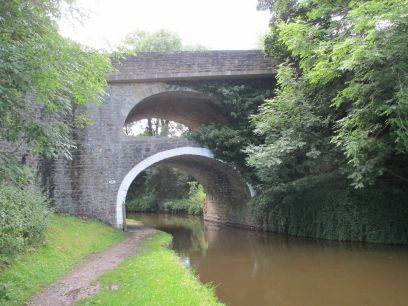 Rather than tear the structure down and start anew, when they were building the A59 they just built the second arch above the first to carry the traffic across the canal. It is not the normal solution but I like it. 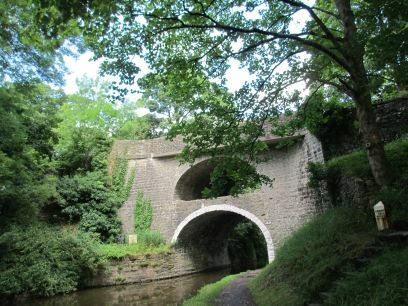 Another view of the double arch bridge. The restaurant is not too far beyond. 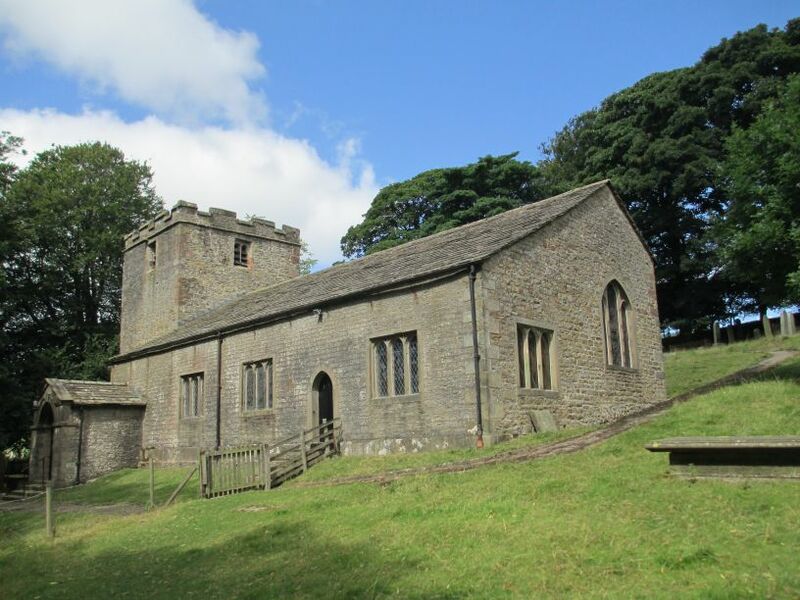 St. Peter's Church in East Marton with its short and wide Norman tower. 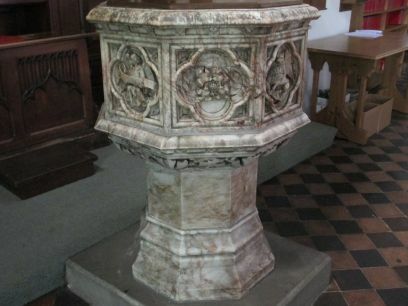 The Baptismal font of medieval or possible Normal times found in the church. The inside, while attractive, is from the 19th century when the building was redone/restored. This was a favorite Victorian pas time and a lot of history disappeared as a result. But, their intentions were good. Now, on up the canal we go.